Description Nov. 11, 1983 dedication of the second library located at 4th & D Ave. Negative in file. 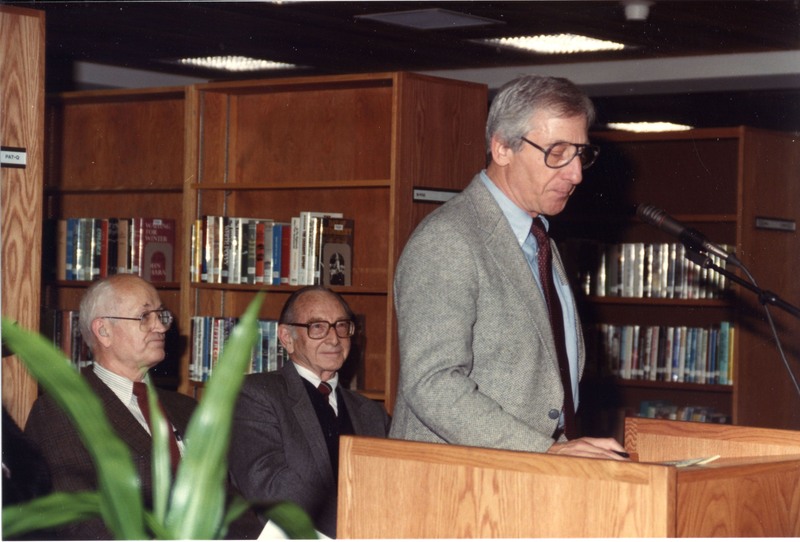 Architect Saul Zaik speaking, and William Martin, library chair, and Mayor Herald Campbell in background.